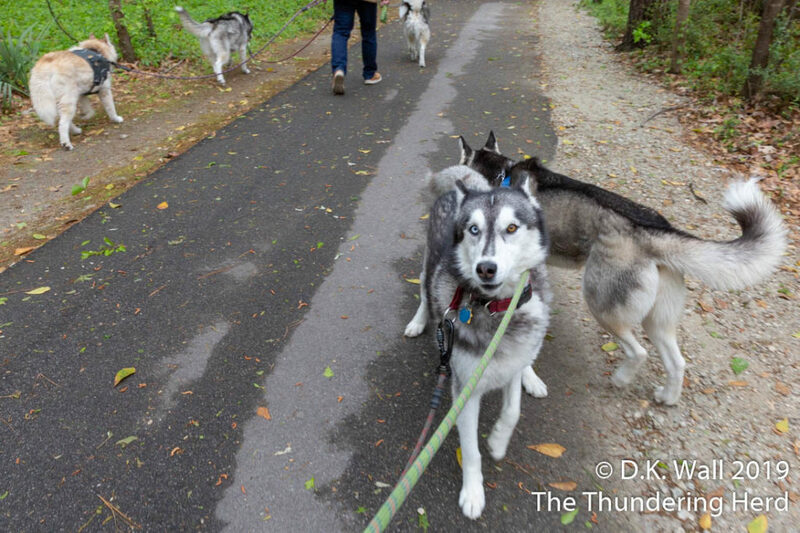 While the rest of The Herd requires some coaxing to capture their eyes in photographs, all you need is to go for a walk to capture backward Typhoon eyes. 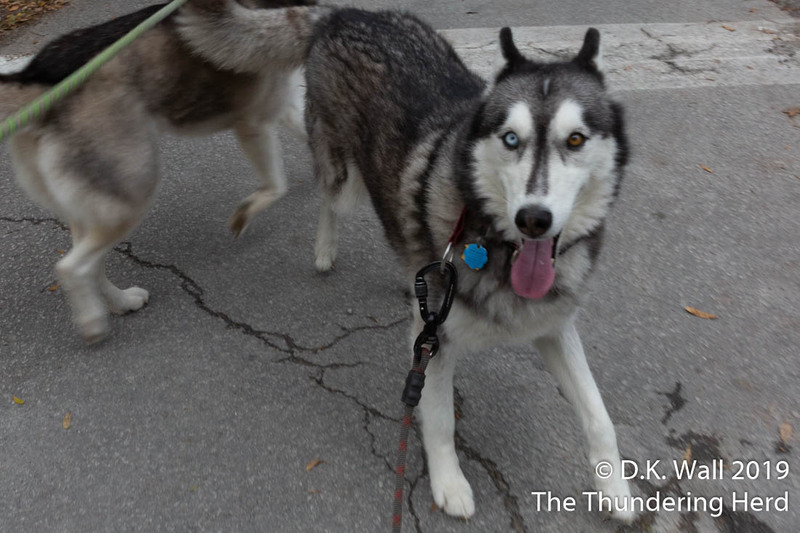 Backward Typhoon eyes on a recent walk. Our Little Prince’s most unusual skill is his insistence on walking backward for at least a part of any walk we do. As Hu-Dad decided to do a week of posts about our eyes, he knew that capturing His Haughtiness’ peeper would talk nothing more than a leash and camera. And, for once, Typhoon didn’t make things extra difficult. Can’t all dogs walk backwards? 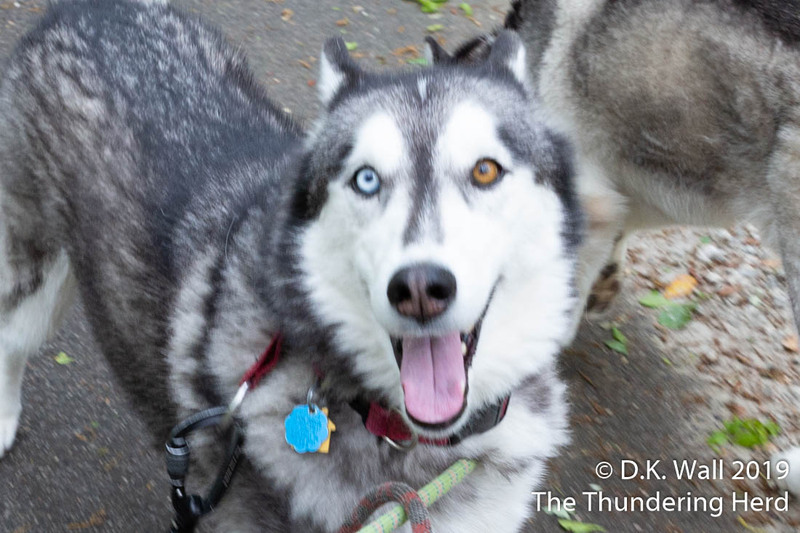 We get asked all of the time, so, yes, Typhoon’s bi-eyes (one blue, one brown) are quite normal in Siberian Huskies as are parti-eyes (two colors in a single eye, like both Cheoah and Roscoe have). Just one of our many quirks. A mischievous grin to go with those eyes. Oh Typhoon-just LOOK at those eyes and that smile. I would be at your command if you would give me that stare and that smile! This week Hu-Dad is doing a great job of capturing each of the Herd’s gorgeous eyes! Typhoon is so expressive. I’d bet it’s pretty easy to read his mind. 🤣 Typhoon is Cray Cray!